We asked our Grammy Whisperer to do some of his trademark whispering in various genre fields. He kicks things off with Pop. Unlike the "Big Four" categories, nominations in the pop field are based strictly on the will of rank-and-file voting voters. There's no secret committee to review their votes and make adjustments. This is a fiercely competitive category this year. 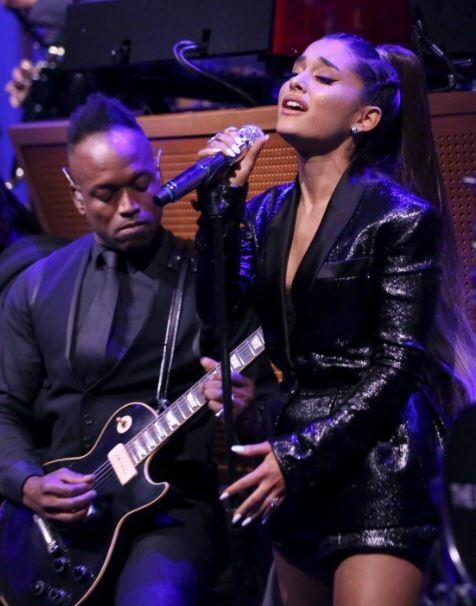 The likely nominees are Ariana Grande's Sweetener, Camila Cabello's Camila, Pink's Beautiful Trauma, Maroon 5's Red Blue Pills and Taylor Swift's Reputation. Swift won in this category last time out, with 1989. Each of her last four studio albums has been nominated for Best Pop Vocal Album or Best Country Album. If these are the nominees, this will be the second time in three years that female solo artists have monopolized four of the five slots. This also happened four other times between 1995 and 2005. The next five in terms of likeliness to be nominated are Post Malone's beerbongs & bentleys, Panic! at the Disco's Pray for the Wicked, Sam Smith's The Thrill of It All, Justin Timberlake's Man of the Woods and Florence + the Machine's High as Hope. Post's previous album, Stoney, was entered for Best Urban Contemporary Album, but wasn't nominated. The Grammys seem reluctant to slot him in the rap album category. Panic! 's last album, Death of a Bachelor, was nominated for Best Rock Album. With this album, they were moved to pop. 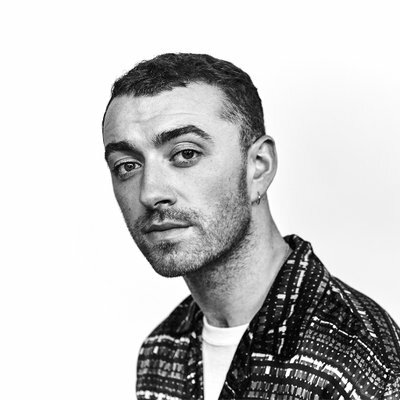 Smith's debut album, In the Lonely Hour, won in this category four years ago. Timberlake's debut solo album, Justified, won in this category 15 years ago. Timberlake has received five noms in this category (counting two with NSYNC)—more than anyone else. Kelly Clarkson has been nominated four times in this category, second only to Timberlake. She's entered this year with Meaning of Life. Christina Aguilera has been nominated twice in this category. She's entered this year with Liberation. Also possible: Troye Sivan's Bloom, Shawn Mendes' Shawn Mendes, BTS' Love Yourself: Tear, Josh Groban's Bridges, Charlie Puth's Voicenotes, 5 Seconds of Summer's Youngblood, Various Artists, Revamp: Reimagining the Songs of Elton John & Bernie Taupin, Pentatonix's PTX Presents: Top Pop, Volume 1, Niall Horan's Flicker, Jason Mraz's Know., Vance Joy's Nation of Two and Thirty Seconds to Mars' America. The likely nominees are Camila Cabello's "Havana (Live)," Ariana Grande's "God Is a Woman," Dua Lipa's "New Rules (Live)," Sam Smith's "Pray" and Post Malone's "Better Now." The studio versions of the Cabello and Lipa hits aren't eligible because they were entered in the Grammy process last year. The Nominations Review Committee, which makes the final choices in the "Big Four" categories, routinely nixes live recordings, but rank-and-file voters, who pick the nominees in most genre categories, don't seem to care (or maybe notice) which version they're voting for. Adele's "Set Fire to the Rain (Live)" and Pharrell Williams' "Happy (Live)" both won in this category (though they were passed over for Record of the Year noms). This would be the first time in four years that that two live recordings have been nominated in this category. It last happened when "Happy (Live)" and John Legend's "All of Me (Live)" were both nominated. Smith was nominated in this category four years ago for "Stay with Me." Grande was nominated two years ago for "Dangerous Woman." The next five in terms of likeliness to be nominated are Shawn Mendes' "In My Blood," P!nk's "Beautiful Trauma," Taylor Swift's "Delicate," Troye Sivan's "My My My!" and Lady Gaga's "Joanne (Where Do You Think You're Goin')." Pink, Swift and Gaga have each received two noms in this category. And Gaga's stock has risen with the success of A Star Is Born. Kelly Clarkson has received four nominations in this category, more than anyone else, so don't count out "I Don't Think About You." Selena Gomez has yet to be nominated for a Grammy, despite years of excellent releases. News reports about her health issues may bring extra attention to her current entry, "Back to You." There are two strong entries from the Emmy-winning Jesus Christ Superstar Live—Sara Bareilles' "I Don't Know How to Love Him" and John Legend's "Gethsemane (I Only Want to Say)." Also possible: Niall Horan's "Flicker," Demi Lovato's "Sober," Bazzi's "Mine," Paul McCartney's "I Don't Know," Charlie Puth's "The Way I Am," Keala Settle's "This Is Me," Beck's "Colors," Alessia Cara's "Growing Pains," Halsey's "Bad at Love," Janelle Monáe's "Make Me Feel," Kacey Musgraves' "High Horse" and NF's "Let You Down." Collaborations could take all five spots for the first time in five years. The likely nominees are Ed Sheeran with Beyoncé's "Perfect" duet, Maroon 5 featuring Cardi B's "Girls Like You," The Weeknd & Kendrick Lamar's "Pray for Me," Zedd, Maren Morris & Grey's "The Middle" and Lady Gaga & Bradley Cooper's "Shallow." 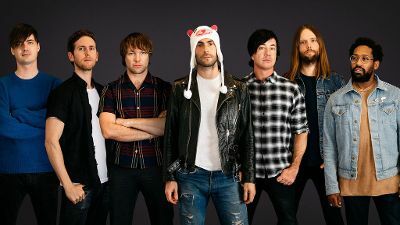 This would be Maroon 5's fourth nom in this category, which would allow them to push past Coldplay for the most noms in this category's eight-year history. The next five in terms of likeliness to be nominated are Weezer's faithful cover of Toto's "Africa," Lovelytheband's "Broken," Drake featuring Michael Jackson's "Don’t Matter to Me," LSD's Thunderclouds" and Justin Timberlake featuring Chris Stapleton's "Say Something." "Broken" has the pop/rock fizz of last year's winner in this category, Portugal. The Man's "Feel It Still." Jackson wouldn't win a Grammy if "Don't Matter to Me" won. (Obviously, he recorded his part more than five years ago, which is the Grammys' limit.) But most voters won't know that, so this could do very well in the balloting. Marshmello has three excellent collabos in the running: "Wolves" (with Gomez), "Friends" (with Anne-Marie) and "Happier" (with Bastille). Marshmello is likely to get toasted, as these hits will split his vote. 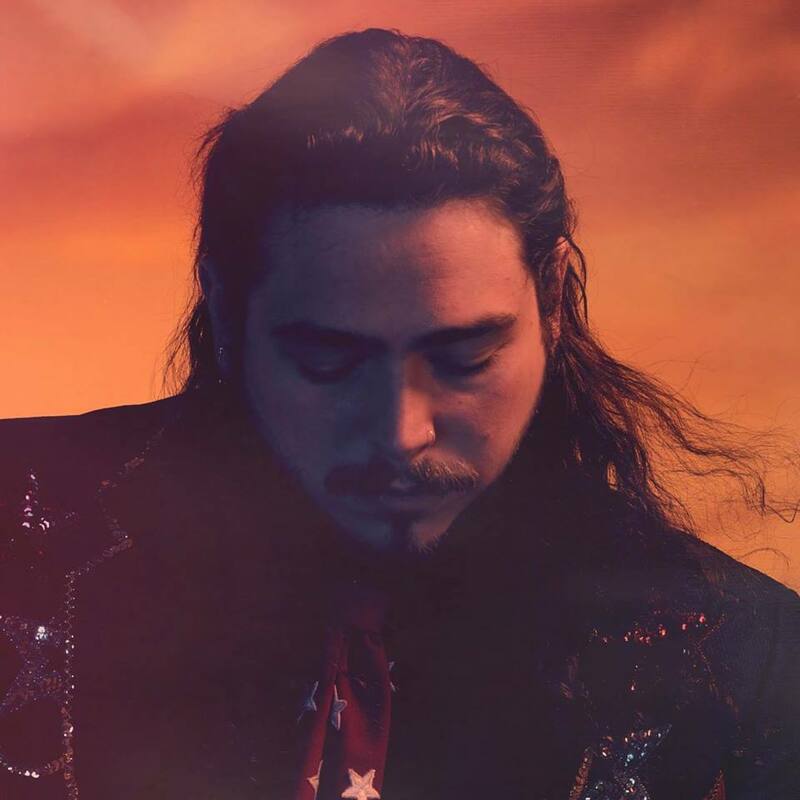 Post Malone is entered here for his #1 hit "Psycho" (featuring Ty Dolla $ign). Twenty One Pilots won in this category two years ago for "Stressed Out." They're entered this year for "Nico and the Niners." Florence + the Machine and The Chainsmokers have each been nominated twice in this category. They're entered this year with "Hunger" and "This Feeling" (featuring Kelsea Ballerini), respectively. How sad is it that both artists on an eligible collaboration have since died? XXXTentacion was shot to death; Lil Peep overdosed. Their entry is "Falling Down." Also possible: Backstreet Boys' "Don't Go Breaking My Heart," Benny Blanco & Halsey & Khalid's "Eastside," Eminem featuring Ed Sheeran's "River," 5 Seconds of Summer's "Youngblood," G-Eazy & Halsey's "Him & I," Lil Dicky featuring Chris Brown's "Freaky Friday," Logic featuring Ryan Tedder's "One Day," Nicki Minaj featuring Ariana Grande's "Bed," Panic! at the Disco's "High Hopes," BTS's "Fake Love," Christina Aguilera featuring Demi Lovato's "Fall in Line" and Troye Sivan featuring Ariana Grande's "Dance to This." 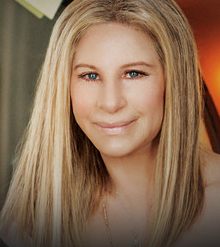 Tony Bennett will likely face off against Barbra Streisand for the seventh time in this category. Bennett won their first six face-offs. Will he do it again? 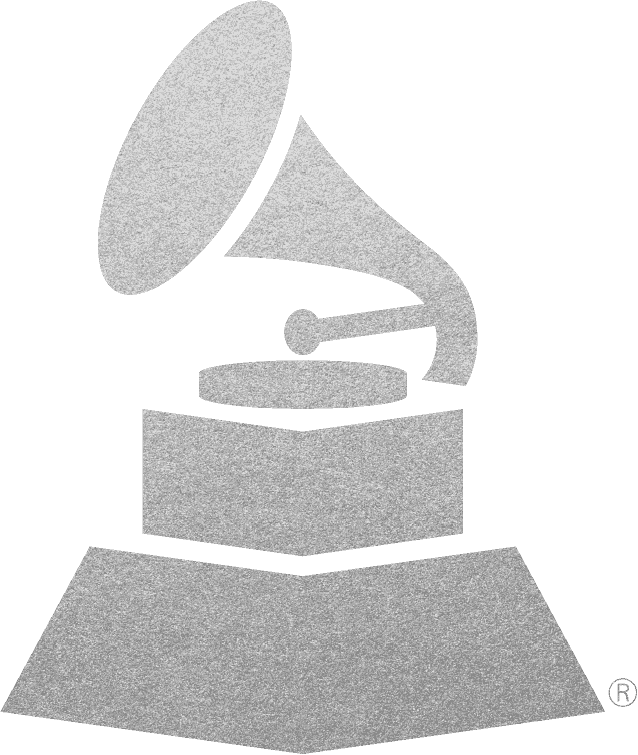 The likely nominees are Bennett & Diana Krall's Love Is Here to Stay, Streisand's The Music…The Mem'ries…The Magic!, Willie Nelson's My Way, Seal's Standards (Deluxe) and Gregory Porter's Nat "King" Cole & Me. Nelson has been nominated three times in this category. His My Way would be the second album saluting Frank Sinatra to win here, following Bennett's Perfectly Frank. Porter's album would be the third saluting Cole to win, following Natalie Cole's Unforgettable…with Love and Still Unforgettable. The next five in terms of likeliness to be nominated are Lamont Dozier's Reimagination, Southside Johnny's Detour Ahead: The Music of Billie Holiday, Sutton Foster's Take Me to the World, Various Artists' Hamlisch Uncovered and Various Artists' Jazz Loves Disney 2—A Kind of Magic. Southside Johnny's album would the second saluting Holiday to win, following Tony Bennett on Holiday. Also possible: Audra McDonald, New York Philharmonic & Andy Einhorn's Sing Happy, Steve Tyrell's A Song for You, Katharine McPhee's I Fall in Love Too Easily, Mandy Patinkin's Diary: January 27, 2018, Fantasia's Christmas After Midnight and Renée Fleming, BBC Concert Orchestra & Rob Fisher's Broadway.